Itâs no surprise that sales at Old Palm Golf Club continue to be strong. Inventory is limited in the four neighborhoods, the new models are often snapped up long before they are even finished, and the word is outâif you want live in the premier private Club community in the Palm Beaches, now is the time to buy. But the magnificent residents arenât the only allure. Old Palmâs appeal goes much deeper and involves the extraordinary lifestyle behind the communityâs entry gates. Old Palm members truly enjoy a âLife Well-Lived.â âYes, the homes are a huge part of the appeal, but the attraction goes far beyond bricks and mortar,â says Connie McGinnis, Director of Sales. âEverything at Old Palm is top notch and to maintain that level of excellence we continually evaluate the community to ensure that it embodies the best of the best. Itâs imperative that the golf, amenities and lifestyle are unparalleled, just like the homes.â Old Palm has always been synonymous with golf, a tribute to the legendary Raymond Floyd who designed the spectacular golf course. A resident of Old Palm and Honorary Club Chairman, Floyd created one of the most visually stunning courses in the Palm Beaches. 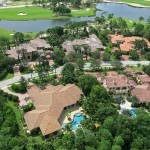 Another major draw of Old Palm is the Golf Studio, a remarkable practice facility separated from the course for privacy. It offers a double-ended driving range, a short-game area, and three regulation practice holes â a par 3, 4, and 5 â on which golfers can replicate every shot and angle they encounter on the par-72 course. Inside the covered hitting bay, Old Palmâs instructors use advanced technologies such as Trackman Combine and the V1 Swing Analysis System to improve every aspect of the playersâ games. Add the No Tee Time policy, which allows members to play whenever they wish, and itâs easy to see why golfers are so attracted to Old Palm. And if they need help with their games, Old Palmâs Director of Instruction is Mark Hackett, who has been honored as one of Americaâs Top 100 Instructors every year since 2009. The social aspect is equally impressive as it centers around the Club, the heart and soul of Old Palm. It is a welcome blend of traditional and contemporary luxuries that feels like home. Designed to mirror the intimate scale of a Palm Beach estate, the Mediterranean-style Club encourages members to mingle in its casual, pleasantly understated atmosphere. The dining venues and inspired menus are equally exquisite, yet without even a hint of stuffiness. To enhance the setting, a thread of impeccable, genuinely caring service follows members throughout the Club, but especially in the dining venues. Besides enjoying the main dining room, members are welcome to host parties in the private wine room and dine in the grill rooms in the Menâs and Ladies Lounges. Additionally, anything on the menu can delivered to membersâ homes. The Club offers so many amenities and activities that members can always find something extraordinary to do. Members may be found indulging in spa treatments such as stress-relieving massages, aromatherapy body wraps and exuberant mineral scrubs for women and men. There is a superb fitness center with advanced equipment for working out and classes ranging from Pilates to Zumba to muscle-toning ballet barre. The activities run the gamut from festive parties to elegant luncheons to rousing Pub Nights for adults with diversions like bungee jumping for children on the adjacent lawn. Events may range from a Yappy Hour Dinner for the family canine to a Country-Western Theme Night Dinner Dance to special holiday events, such as the recent Easter Brunch and Egg Hunt.